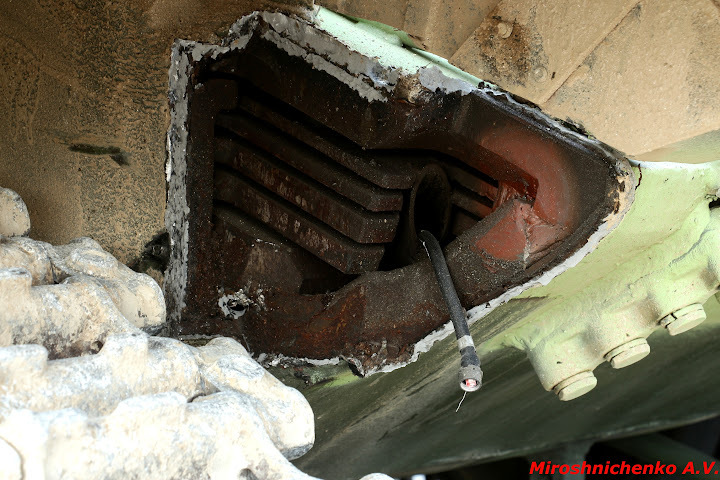 Damaged T-72B3 tank. The both side portions of the front were damaged. A closer look reveals the composite armor construction of the glacis (photo was probably mirrored). The glacis armor follows a different approach than the earlier T-72 and T-72A. Instead of using glass-reinforced plastic as interlayer material between two thick steel plates, the gap between the outermost and innermost steel plates ius filled with an array of thinner steel or composite plates in a spaced configuration. There are two relatively thin plates followed by two plates which are more than twice as thick. 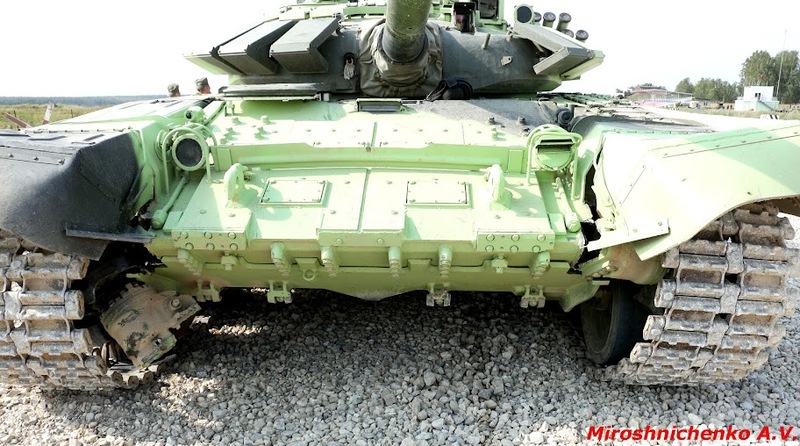 I think it is reasonable to assume (given the construction of the turret armor of the T-72B) that this armor is actually a type of non-explosive reactive armor (NERA/NxRA) and that the inner plates are either composite panels (consisting for example of rubber and steel sandwiches) or that these steel plates are mounted flexible on rubber bolts or coil springs to increase armor protection. Russia lying about Armata capabilites? Russia cheating at Tank Biathlon 2015?